Little Ramen bar is a new addition to Melbourne’s CBD eateries. 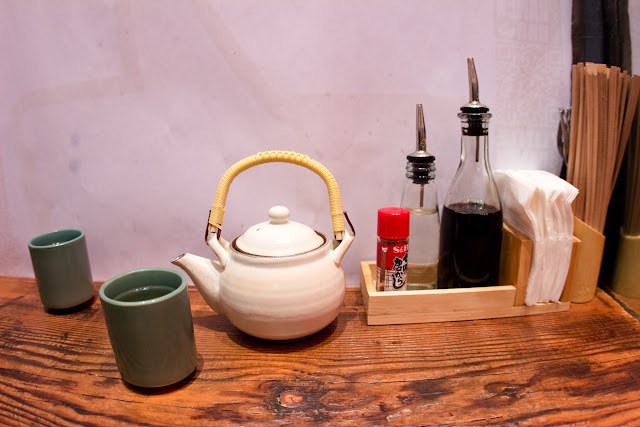 They have a menu listing a selection of side dishes as well as number of different combinations of broth and toppings for their ramen. Their prices start from $9.90 which must make it one of the cheapest ramen places in the city. For that you get a generous amount of noodle, a flavourful stock, some spring onion, bamboo shoots and one piece of char siu. They advertise the additional topping of a ‘gooey egg’ but what we received was just the regular unseasoned and hard boiled variety. They were really busy so maybe they just ran out of their prepared eggs? I was excited about going here. Well, I’m excited about any new ramen place. 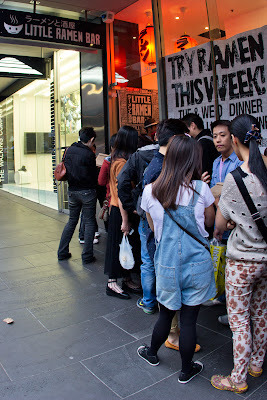 As part of the standard procedure for dining at anywhere new in Melbourne, we had to queue up to get in here. Only about 20 mins, but still. The place is truly small so I imagine this will be a constant at Little Ramen Bar during their busy periods. They had cold beer in the fridge but when we went they didn’t have their liquor license yet so they couldn’t serve us any. A beer would have been good. They’re just getting up and running. I think given a couple of months they will work out some of the kinks in their processes and things will be a lot smoother. 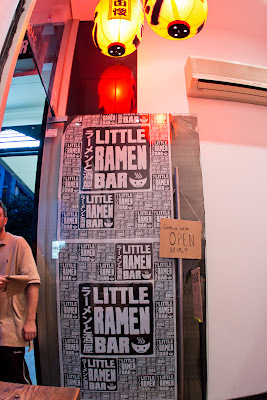 To be honest for $9.90 Little Ramen Bar is really good value. The gyoza were really nice. The kimchi was probably the only thing that felt a little overpriced for the amount you got. Free refills maybe? Their tonkotsu broth was flavourful but there is still nothing in Melbourne remotely close to Gumshara Ramen. Would I eat here again? If there was a free seat when I was walking past, sure. 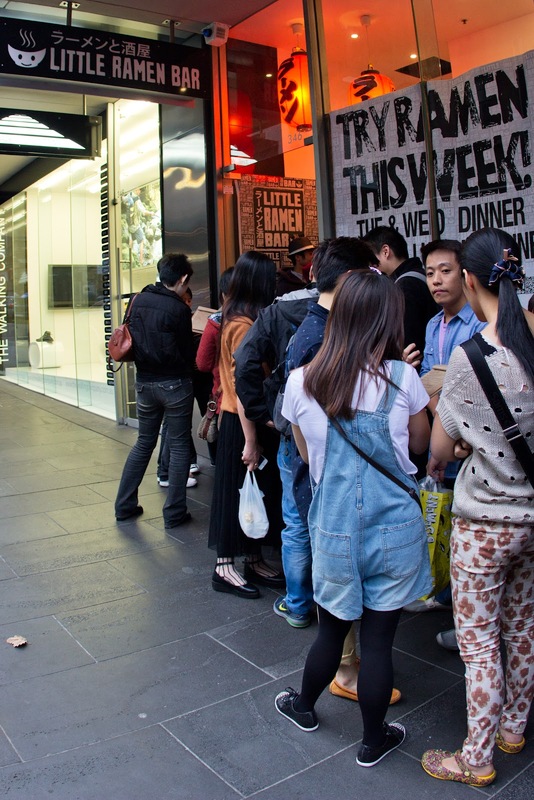 If there was a queue… well Ramen Ya is pretty much across the street. Kokoro is only a few blocks away. Alternatively Jetstar and Tiger feature quite regular sale fares to Sydney, after which it’s only a short train trip to Eating World and Gumshara. If you like Ramen, you know you’re going to try out Little Ramen Bar. 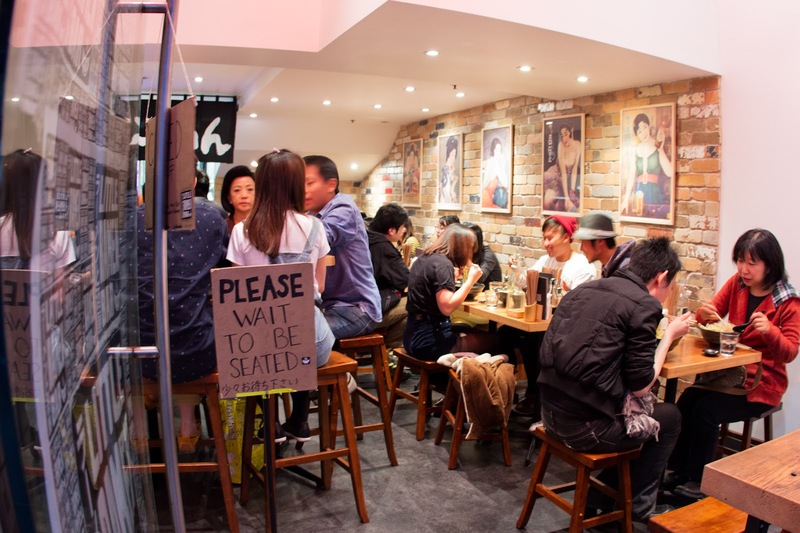 It’s not the holy grail of good ramen in Melbourne but it is another place to tick off the list. Japanese green tea - Served by the pot. 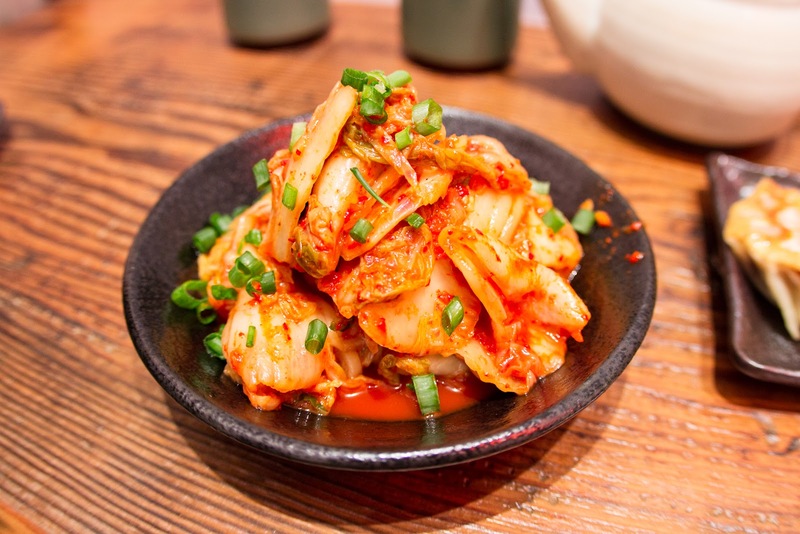 Kimchi - This spicy picked cabbage is a Korean staple and loved by many. Housemade Gyoza Dumplings - The classic side for Ramen! 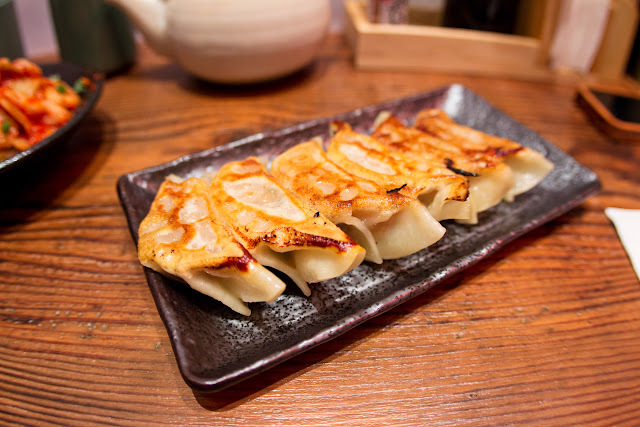 Handmade right here at Little Ramen Bar these pan fried pork and vegetable dumplings are juicy on the inside and crisp on the bottom. Serving of 6. Miso Ramen - Our most popular! Housemade miso combined with our slow-cooked pork soup and mixed vegetables. Topped with BBQ pork, spring onion & roasted sesame seeds. Plus, Gooey Egg - Soft-boiled egg seasoned in traditional marinade. 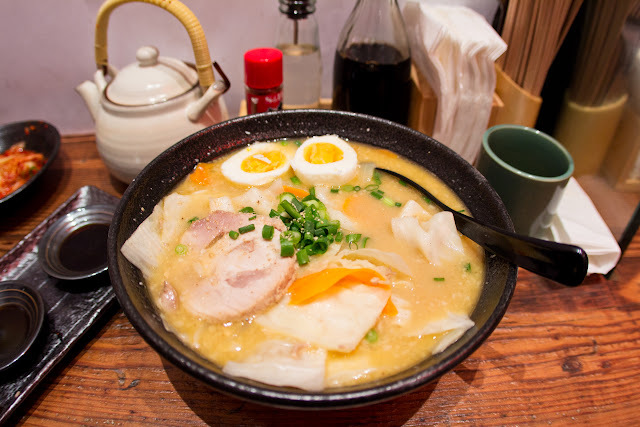 Classic Tonkotsu Ramen - A timeless recipe perfected over generations. Our original Tonkotsu soup is rich with porky goodness extracted from over 10 hours of cooking. 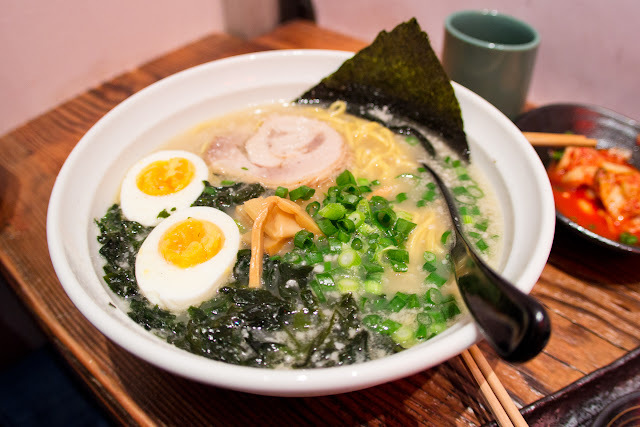 All Classic Tonkotsu Ramen are topped with seaweed, bamboo shoots, spring onion & BBQ pork. Choose from 3 varieties: Shoyu (special soy base), Miso (soybean), Shio (light salt base). Plus, Gooey Egg - Soft-boiled egg seasoned in traditional marinade. Thanks for coming and writing your thoughts! You are pretty spot on, we're having a little trouble with the egg stocks - they're fiddly things and we end up spending a lot of time preparing them, and sometimes not enough are made in time for service. We're working on that, and other aspects. Our tonkotsu is of a very different variety to Gumshara. Ramen of course is a very personal dish with hundreds of unique varieties. I personally find Gumshara too thick, yet I can definitely see the attraction. I hope that you enjoyed ours regardless! Beer... Argh we've been waiting for ages for the liquor licence to come through! The equipment is here, the keg is ready, all we need now is the liquor licence! Thanks again for your review and wonderful photos. Hope to see you again! Hi Alex - Thanks for your comments. I'm sure we will be back.